Episode 22 features our beloved co-host Florian Duijsens giving us the low-down on the multi-talented entertainer Josephine Baker. Recorded live at ACUD, and produced and presented by Susan Stone in April 2019. For more gorgeous pics, check out this fancy spread in UK Vogue. 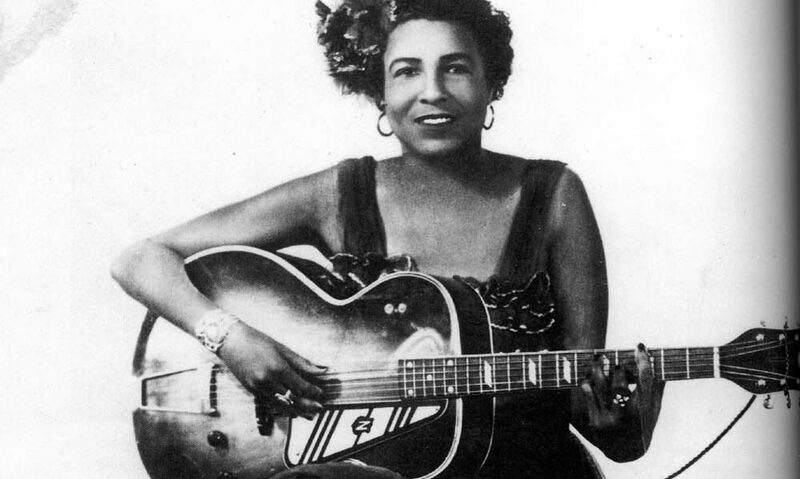 Listen to Josephine singing in French in 1953. Or watch her dancing and acting in the 1935 French film Princess Tam Tam, or clowning and Charleston-ing. Fancy a trip to France? You can visit her chateau! Or go on a walking tour just outside Paris! Jean-Claude Baker’s Josephine: The Hungry Heart, written with Chris Chase, and Josephine Baker and the Rainbow Tribe, by Matthew Pratt Guterl. Thanks for listening! We’ll be back with a new episode in May. Our 21st episode sees our beloved co-founder Katy Derbyshire tell the stirring story of Noor Inayat Khan, a pacifist who worked as a secret radio operator in occupied Paris. Recorded live at ACUD, and produced and presented by Susan Stone in March 2019. You’ll have to imagine the groans. See more of her books here. You can see a picture of the radio she was lugging around Paris here. The last part of our 4-part special FRANKENFRAUEN miniseries, produced in December 2018 by Susan Stone. In a special encore presentation, Dead Ladies Show co-founder Florian Duijsens tells the story of Elsa Lanchester, the actress made famous by her role in 1935’s Bride of Frankenstein. Recorded live at Bard College Berlin. Elsa’s mother, Edith Lanchester. Read more about her scandalous cohabitation and activism here. Here’s the delightful full version of the silent short Bluebottles (1928), one of Elsa’s first movie roles, scripted by H. G. Wells. And here’s rare footage of Elsa live onstage later in life. And here’s Elsa duetting with Elvis in 1967. If you want to read more about and by Elsa Lanchester, check out her marvelous autobiography, Elsa Lanchester, Herself. And as a special treat, here’s a version of the perennially problematic (and delightful) “Baby It’s Cold Outside” a sung on the radio in 1950 by Elsa and her husband. Thanks for listening! Our theme music is “Little Lily Swing” by Tri-Tachyon. Check out the first three parts of our FRANKENFRAUEN series for yet more fascinating women involved in some way with the classic story of Frankenstein. Part 3 of our 4-part FRANKENFRAUEN miniseries, produced by Susan Stone in December 2018. Professor Laura Scuriatti of Bard College Berlin presents the story of Ada Lovelace, accomplished mathematician. She fits into the Frankenstein puzzle by being the only legitimate child of Lord Byron, who was present at the story’s inception. But of course she achieved a whole lot without ever really meeting him. 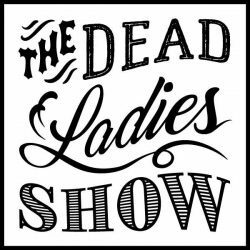 With a live intro from the Dead Ladies Show at the ACUD Studio. Here’s Ada in a little sparkly number, painted by Margaret Sarah Carpenter in 1836. Here’s a model Babbage made of the Analytical Engine that he and Ada worked towards, on display in London’s Science Museum. Thanks for listening! Our theme music is “Little Lily Swing” by Tri-Tachyon. Check out parts 1, 2 & 4 of our FRANKENFRAUEN miniseries for more fascinating women involved in some way with the classic story of Frankenstein. Part 2 of our 4-part special FRANKENFRAUEN miniseries, produced in December 2018 by Susan Stone. To top off 2018 and get in one more celebration of the centenary of Frankenstein, beloved DLS co-host Florian Duijsens tells the story of its creator, Mary Shelley. Tumblr loves Mary Shelley, understandably. Lord Byron in a dreamy, posthumous portrait, below is a portrait of his personal physician, John Polidori. Here are the trailers for the three films about the legendary summer on Lake Geneva when Mary started writing the horror story what would become Frankenstein. Mary’s third child, William “Willmouse” Shelley, painted just before his death from malaria. Frankenstein first found popularity through a plethora of (unauthorized) stage adaptations. If you want to know more about Mary Shelley, do read the biographies by Muriel Spark and Miranda Seymour. Thanks for listening! Our theme music is “Little Lily Swing” by Tri-Tachyon. Check out the other three episodes in our FRANKENFRAUEN series for more fascinating women involved in some way with the classic story of Frankenstein. Part 1 of our 4-part special FRANKENFRAUEN miniseries, produced in December 2018 by Susan Stone. Your beloved DLS co-host, translator extraordinaire Katy Derbyshire, gives us the low-down on proto-feminist and mother of Mary Shelley, Mary Wollstonecraft. With lots of live atmo from the stage presentation. Here’s Mary, painted by John Opie. The studious look at the top of this post is from 1790-1 and the more relaxed portrait below is from 1797 or thereabouts. Clearly, you’ll want to read Mary’s classic proto-feminist text, A Vindication of the Rights of Woman. We recommend this annotated edition, edited by the excellent Janet Todd. And if you want to find out more about Mary herself, try Claire Tomalin’s now-classic The Life and Death of Mary Wollstonecraft. Thanks for listening! Our theme music is “Little Lily Swing” by Tri-Tachyon. Check out parts 2 to 4 of our FRANKENFRAUEN series for more fascinating women involved in some way with the classic story of Frankenstein.